The little boy from Dinosaurs in the Supermarket is off to the shops again. Surely this supermarket trip will be completely normal? Err – nope! The dinosaurs have gone home, but something else is causing chaos in the aisles! There’s an anchor in the butter. There’s a spyglass by the juice. There are parrots on the carrots! There are PIRATES on the loose! That’s bad enough – but even worse, the grown-ups can’t see them. Can this little boy teach the pirates some manners? 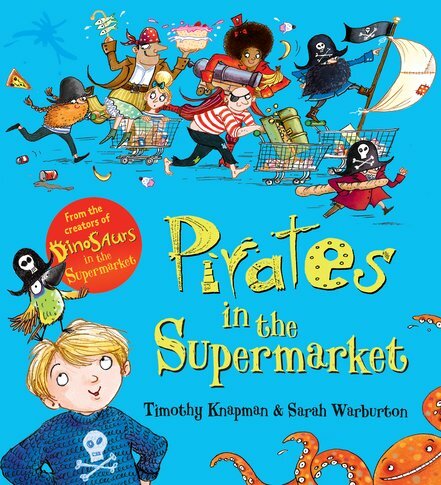 All the fun of a shopping trip – plus naughty pirates!